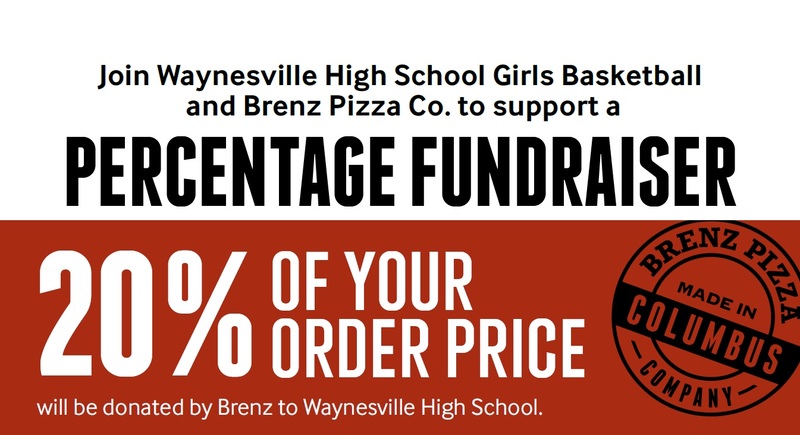 Brentz Pizza Co, a Columbus area pizzeria, is holding a fundraiser for Waynesville Girls Basketball. On Thursday, March 14th, when you're in Columbus for the tournament game, if you eat at Brenz Pizza Co, and mention Waynesville Girls Basksetball, they will donate 20% of your order to Waynesville Girls Basketball. No coupon code required. Just mention or show the flyer. *Online ordering or calling ahead is preferred but not required. The company is owned by Mark Mitchell, brother of local resident Laura Atkins. What a great opportunity for the Spartan faithful to grab a bite to eat before the game and give back to the High School through the generosity of a local Waynesville Spartan supporter. Go south along Olentangy River Rd. Turn right onto Chambers Rd. just past Lennox Town Center. Brenz is right next to Petco and AT&T.